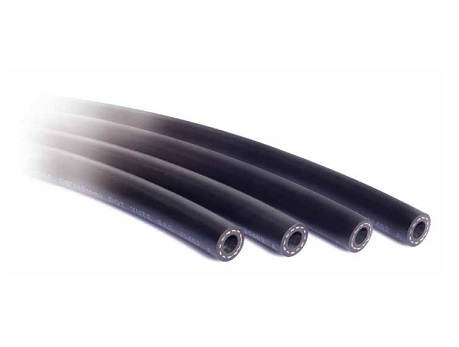 Hydraulic Rubber Hoses, High Pressure Hydraulic Hose, Fiber Reinforced Hydraulic Rubber Hose Wholesaler. Be suitable to carry hydraulic fluids, such as glycol, mineral oils, emulsion, hydrocarbons, etc. 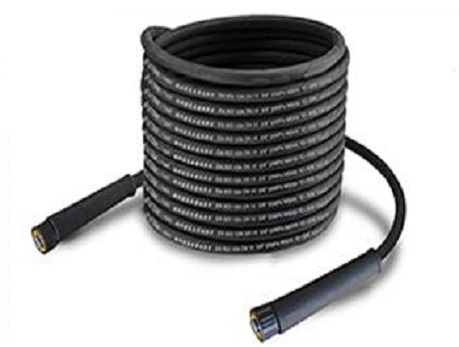 CONSTRUCTION: This hose consists of an inner tube of oil resistant synthetic, rubber, one wire braided reinforcement and an oil and weather resistant synthetic. Working Temperature: -40℃～+100℃（-40°F~+212°F） rubber cover. 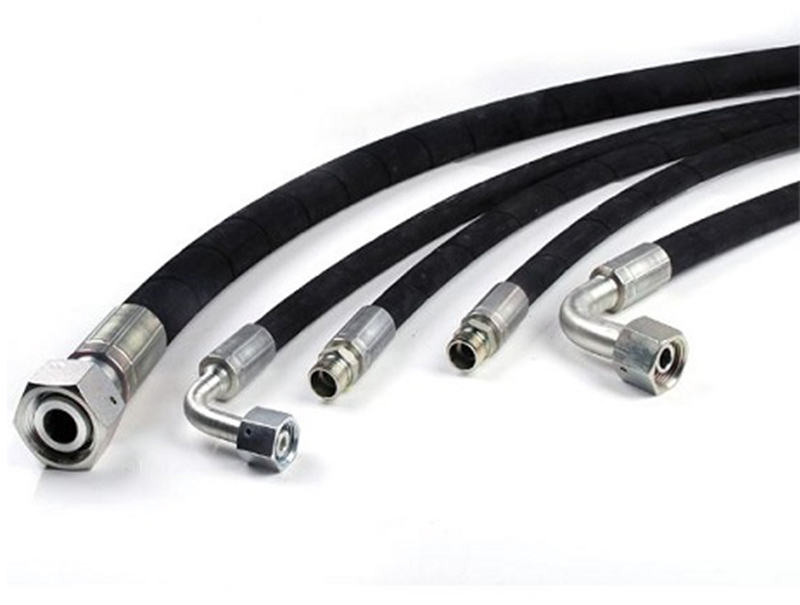 Dongguan Rener specializes in all kinds of hydraulic hoses and flexible hose assembly solution. Our main products: high pressure rubber hose, Industrial Hose, etc. If you have interested in our High Pressure Hydraulic Hose, please feel free to contact us. 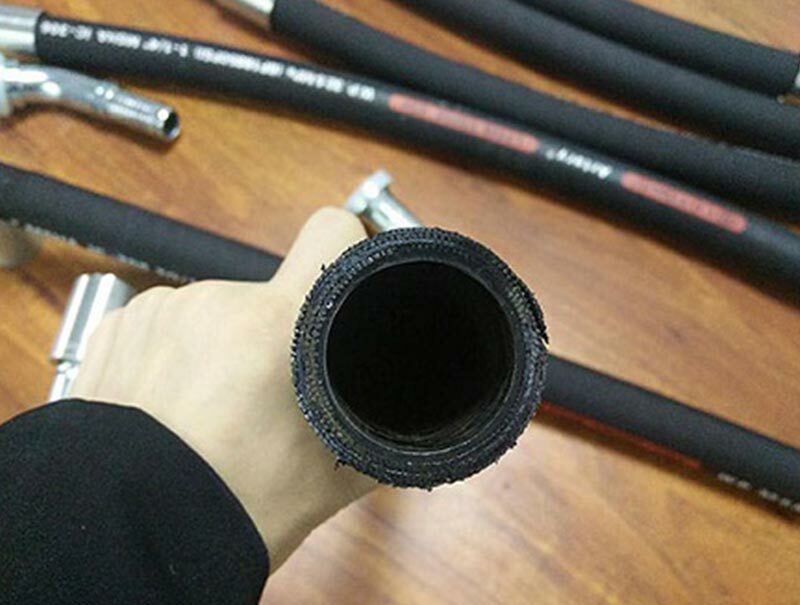 Artery Braid Hydraulic Rubber Hose, Oil Resistant Rubber Hose, Abrasion Resistant Rubber Hose Exporter. Good flexibility, specially compounded for handling biodegradable hydraulic oil, One layers of woven tubes no less than 300 thousand times pulses, Weather resistant for more than 5 years. Products are mainly used in Mine hydraulic support 、oil exploitation、mining machinery、 engineering machinery、hoisting and conveying machinery、vessel、metallurgical engineering、Agricultural machinery、injection machine、and all kinds of mechanization and automation hydraulic system。transport the base of petroleum (such as mineral oil、solubility oil、fuel oil、hydraulic fluid、lubrication oil) and water fluid(such as oil water emulsion). The product has high pulse performance , the number of pulses is not less than one million times. 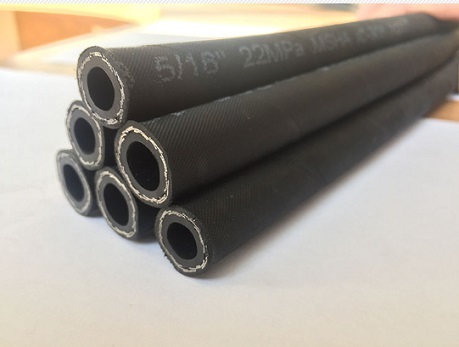 CONSTRUCTION: This hose is composed by oil, special mediums(phosphates, oxygen)resistant synthetic rubber tube,6 layers spiral steel reinforcements and oil, special mediums resistant aging resistant rubber outer cover. Application: Applied to oil drilling industry and lifting hydraulic system of heavy duty engineering equipments. 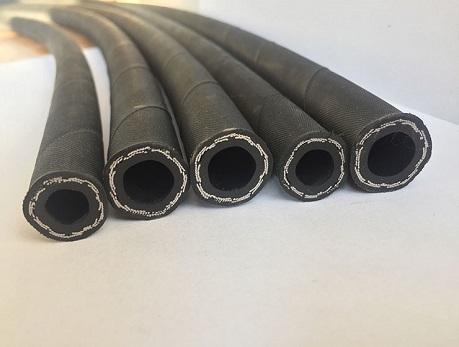 Dongguan Rener is a hydraulic rubber hoses wholesaler which is professional in producing wire braided hydraulic hose, fiber hydraulic rubber hose, High Pressure Hydraulic Hose and other hoses. It can be manufactured by providing drawings or samples according to customer needs. 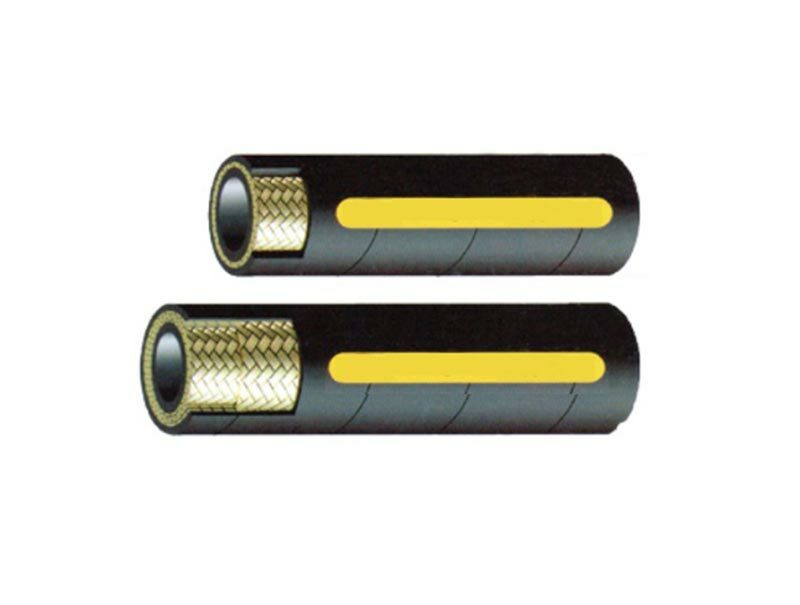 Wire Braid Hydraulic Rubber Hose, Mining Heavy Calibre Hose, Fiber Hydraulic Rubber Hose Supplier. 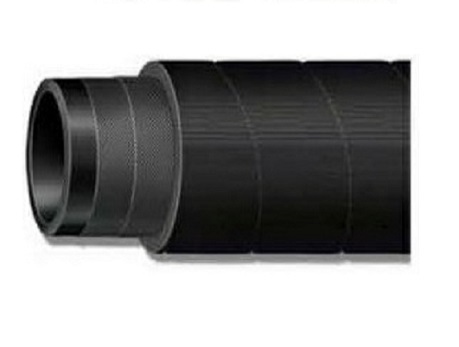 It is a hydraulic tube with large diameter for special exploitation and production of coal mine by Letone, the Maximum caliber up to section covers hose for use petroleum base hydraulic fluids and the inner tube of oil resistant synthetic rubber, one or two steel wire braids reinforcement and oil and weather resistant rubber cover. Dongguan Rener specializes in all all kinds of hydraulic hoses and flexible hose assembly solution. Our main products: high pressure rubber hose, Industrial Hose, etc. If you have interested in our High Pressure Hydraulic Hose, please feel free to contact us. Petroleum Hose, Ocean Low Pressure Oil Hose, Oil Discharge Hose Supplier. For suction and discharge fuel, crude oil, hot tar , asphalt, gasoline , oil and biofuels. MEDIA: Apply to transport -20℃ to 121℃ crude oil and petroleum , oil base mud and cement slurry can also be transported. The hose owns double propeties of bearing positive or negative pressure under vacuum degree less than 80 KPa(600mm)and working pressure less than 10MPa. Ocean low pressure pipeline apply to transport -20℃ to +121℃ crude oil and petroleum products. Water, oil base mud and cement slurry can also be transported. Maximum resistance pressure 10Bar,maximum resistance temperature 121℃. interested in our High Pressure Hydraulic Hose, please feel free to contact us. 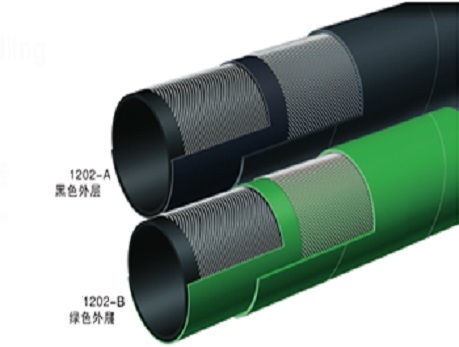 Abrasive Material Blast Hose, Material Delivery Hose, Bulk Material Hose Manufacturer. Mainly used for granules, gravel, cement, flow sand, concrete, gypsum and other solid particles with liquid transport, suitable for all kinds of tunnel works, wells, caverns and other engineering operations. MEDIA: Designed to convey abrasives , sand and shot blast material . INNER LAYER: Black static conducting NR. INSERT: high tensile textile cords 4-ply construction. OUTER LAYER: Black or green conductive SBR/NR blend. Features: Abrasion resistance, antioxidant activity, ozone resistant-pin pricked, oil resistivity and other characteristics. Application: 4-ply abrasive material blast hose. It is mainly used for Designed to convey abrasives , sand and shot blast material . It has abrasion resistance, antioxidant activity, ozone resistant-pin pricked, oil resistivity and other characteristics. The working temperature is -30℃（-22℉）～+80℃（+176℉）. The MAX working pressure is 1 MPa. Dongguan Rener specializes in all all kinds of hydraulic hoses and flexible hose assembly solution. Our main products: high pressure rubber hose, Industrial Hose, Food Grade Hose, Water Steam Hose, etc. If you have interested in our High Pressure Hydraulic Hose, please feel free to contact us. Water Hose, Large Calibre Industrial Hose, Hot Oil Resistant Rubber Hose Wholesaler. 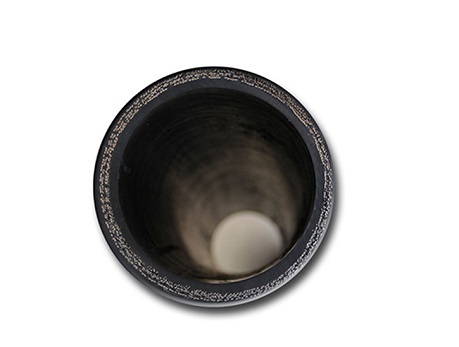 Drainage pipe is widely used in the plant siphon drainage pipe project, municipal sewage instead of cement pipe, urban and rural water pipe network, with high strength, corrosion resistance, non-toxic advantages. Fiber, high tensile steel wire. 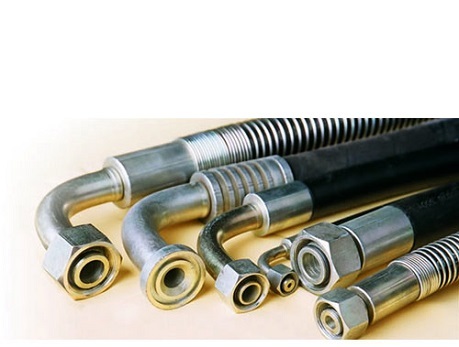 Choose Dongguan Rener is the leading manufacturer of hydraulic hoses, assemblies, fittings and crimping technology for industrial and hydraulic markets. Our hydraulic hoses mainly include Food Grade Hose, Water Steam Hose, Oil Suction Hose, Compressed Air Hose and other Hose. If you have interested in our High Pressure Hydraulic Hose, please feel free to contact us. MEDIA:Apply to transport -20℃ to 121℃ crude oil and petroleum products. Water, oil base mud and cement slurry can also be transported. Mining Hydraulic Hose, Mining Heavy Calibre Hose, Compressed Air Hose, Textile Cord Mining Hose Exporter. Compressed air hose, also known as soft wall air tube, for compressed air, auto parts shops and pneumatic (pressure) tools, and water and non-corrosive liquid transport, widely used in industry, construction, agriculture and other fields. Product Overview： Tubular rubber products for conveying gas, liquid, pulp or granular materials. it is mainly used in high quality air hose for heavy duty and mining applications. This section covers hose for use with alcohols, hydraulic oil, fuel oil, lubrication oil, emulsified liquids, etc. 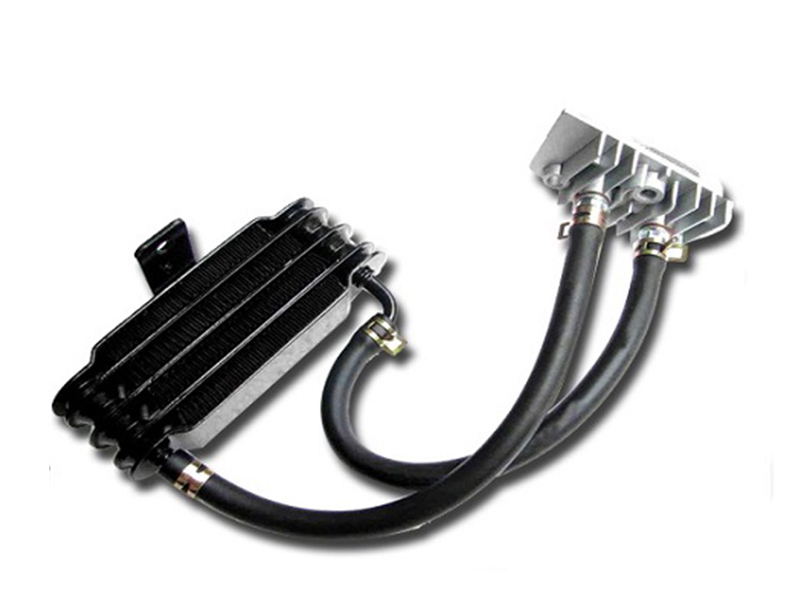 Automotive AC Hose, Car Air Conditioner Hose Assembly, High pressure Car Wash Hose Supplier. Product Overview： Products are mainly used in Various types of automobile air conditioner suitable for conveying refrigerant R134a, It is used in automobile, mini truck, truck, big minibus and so on. 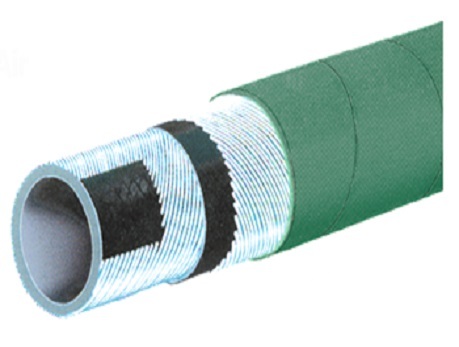 This hose is made of special weather resistant rubber compound, lsolation layer is made of nylon barrier material resistant to low refrigerant permeation and low moisture permeability. Hose finish is black smooth. Hose quality subject to QC/T 664-2000 stand requirement of big domestic and foreign automobile manufacturers. 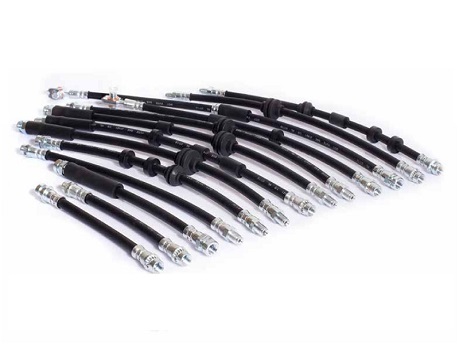 Dongguan Rener specializes in all kinds of hydraulic hoses and flexible hose assembly solution. Our main products: Food Grade Hose, Water Steam Hose, Oil Suction Hose, high pressure rubber hose, Industrial Hose, etc. If you have interested in our High Pressure Hydraulic Hose, please feel free to contact us. Enhancement layer: high strength synthetic cord and anti static wire. Outer glue: CR EPDM synthetic rubber, weathering and ozone resistance. Suitable for all kinds of oil pumps or tanks that are required for softness and light weight. Reinforcement: High tensile braided fiber. Dongguan Rener offers professional water hoses. Whether you need a Car Wash Hose, Marine Fuel Line Hose or you need it for Car Wash Hose use, we have it. Learn more today. Used as oil return line transporting oil, gasoline, diesel, lubricants and other mineral oil on the condition of positive pressure. Tube: Oil-resistant synthetic rubber with low permeability. 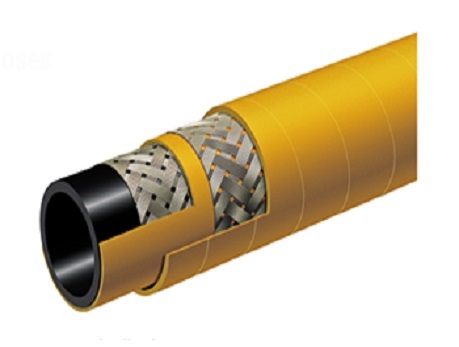 Outer Shield: High tensile braided fiber with low shrink . black or gray. Dongguan Rener main hose: professional hose, hydraulic rubber hoses, wire braid hydraulic hose, Industrial Hose, etc. We have a whole set of quality management system to guarantee the quality of our professional hose as well as after sale service. Used for transporting oil to automatic transmission fluid. Dongguan Rener specializes in all all kinds of hydraulic hoses and flexible hose assembly solution. Our main products: high pressure air hose, Industrial Hose, etc. If you have interested in our High Pressure Hydraulic Hose, please feel free to contact us. Intended for conducting liquid and gaseous refrigerants(R12,22,134a,404,502,410a,600,32)for service connections from mobile air conditioning systems to service equipment. Tube：Refrigerant-,oil-resistant with high performance formula. Cover：weather-,aging-resistant with high performance synthetic rubber. 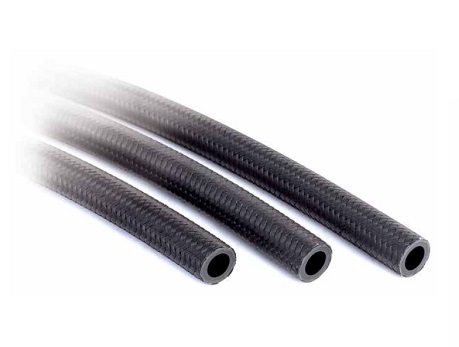 Product Overview: High pressure Car Wash Hose is mainly used in cleaning machines and cleaning vehicles. 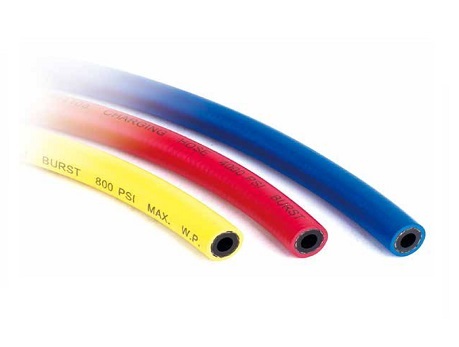 This section covers hose for use with petroleum base hydraulic fluids. The structure is firm, light weight, low bending radius, super wear resistance, oil resistance, ultraviolet resistance, ozone resistance, weather resistance, erosion resistance. Oil, heat and aging resistant. Dongguan Rener offers professional hoses. Whether you need a Car Wash Hose, Marine Fuel Line Hose or you need it for Car Wash Hose use, we have it. Learn more today. 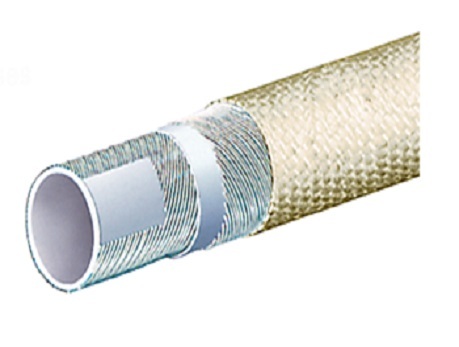 Professional hose for a variety of manufacturing and distribution areas, widely used in petroleum, chemical, ship, dock, tanker, agriculture, food, beverage, pharmaceutical and other industries, and hot and cold water, steam, ventilation, cooling, fire, hydraulic , Media such as gas, water, fog, mud, sand, iron tablets, and so on all aspects. MEDIA: Underground mine water spray for dust control, also usable on continuous mining machinery . INNER LAYER: black extruded SBR/NBR blend. INSERT: high tensile braided steel wire. OUTER LAYER: Yellow SBR/NBR blend. MEDIA: Apply to transport -20℃ to 121℃ crude oil and petroleum products. Water, oil base mud and cement slurry can also be transported. Ocean Low Pressure Hose owns double propeties of bearing positive or negative pressure under vacuum degree less than 80 KPa(600mm)and working pressure less than 10MPa. Furnace door coolant hose. It is mainly used for steelworks, glassworks and foundry. It can delivery the cooling water to furnace door. It has abrasion resistance, antioxidant activity, thermal stability, oil resistivity and other characteristics. The working temperature is -40℃（-40℉）～+120℃（+248℉）. The MAX working pressure is 2 MPa. MEDIA: Ocean low pressure pipeline to furnace doors in steel mills , glass plants , foundries, or where the hose is subjected to high temperatures and splashes of white-hot molten metals or glass . Dongguan Rener specializes in all all kinds of hydraulic hoses and flexible hose assembly solution. 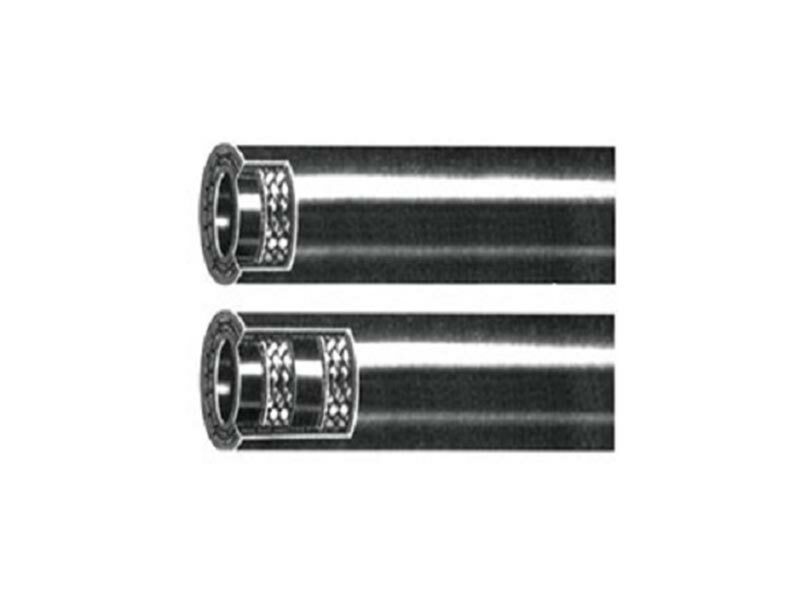 Our main products: Wire Braid Hydraulic Hose, Industrial Hose, etc. If you have interested in our High Pressure Hydraulic Hose, please feel free to contact us. Recommended Use: Open Drainage at Higher Pressure than 75W, and Coolant Connection for Heavy Ship and Static Engines. Temperature: -40°F to +257°F（-40℃ to +125℃） for continuous use. Inner layer: P (three yuan ethylene propylene rubber), black. Diplomatic level: P (three yuan ethylene propylene rubber), black, heat resistant and ozone resistant. Dongguan Rener specializes in all all kinds of hydraulic hoses and flexible hose assembly solution. Our main products: high pressure rubber hose, Industrial Hose, etc. If you have interested in our Marine Fuel Line Hose, please feel free to contact us.